Osteopathy is a complete system of healthcare and treats the whole person this means considering both the physical and mental needs of their patients. Osteopathy is a 'hands on' manual therapy and one of the oldest approaches to treatment of injuries in the joints, muscles ligaments, fascia and tendons. Osteopaths use their hands as a primary tool to diagnose and treat illness and injuries. This sense of touch allows osteopaths to examine the back and other parts of the body such as joints, tendons, ligaments and muscles for pain and restrictions during motion that can signal an injury or impaired function. Treatment can improve many parts of the body by restoring normal movement in areas that have become dysfunctional. This allows the tissues to nourish, replenish and repair themselves more naturally. In a summary:-The osteopathic approach involves looking at the whole body, not just treating the immediate area of pain. Osteopathy is a system of complete medical practice, based on the principle that health depends on the maintenance of proper relationships among the various parts of the body. 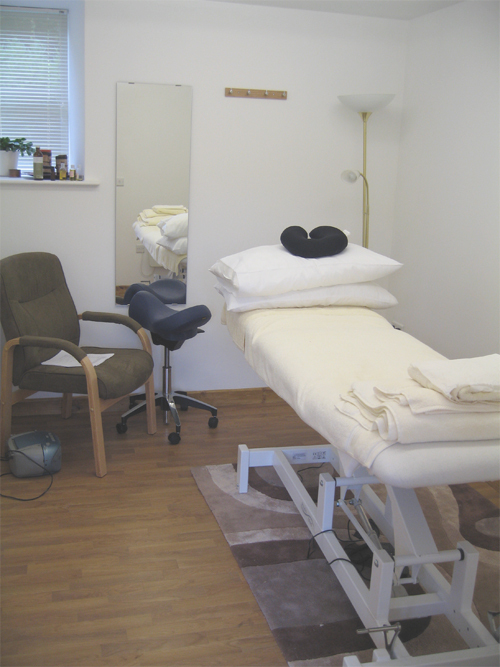 Whilst working closely with the local G.P.’s you do not require a referral to see an osteopath. We strive to provide you with a friendly and relaxing approach. Upon your first consult you will be asked in detail your medical history, you will then be asked to undress to your underwear; this is so we are able to fully observe how your body moves. Many people can feel embarrassed upon the first visit when asked to undress, but we are professional and it is a necessary part of treatment if you would feel more comfortable bringing a friend or spouse this is perfectly fine. Please feel reassured that no matter what your age or shape you will always be treated with respect and professionalism. Please wear appropriate underwear to your sessions. During our assessment you will be asked to do a series of movements, this is to aid our diagnosis to your problem. We will do a series of medical assessments to establish your diagnosis. Once we are sure of your presenting problem, we will treat you accordingly, this may consist of a series of movements to mobilize the affected areas, gentle and deep massage, stretching, and if necessary and safe a manipulation. You will then be given exercises to help maintain what was achieved during treatment, this is an important aspect of you treatment and its essential to perform them daily to aid to a faster recovery. The initial consult will last one hour, and further treatments will last 40 min. Many patients often state that they wish they had come for treatments sooner.